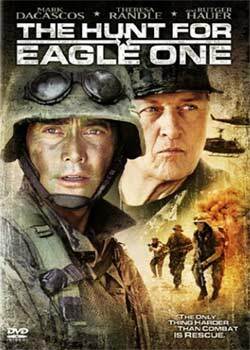 The Hunt for Eagle One doesn't live up to its B-movie potential. Capt. Jennings' (Randle) plane gets shot down over enemy territory. She is then kidnapped by terrorists. Only Lt. Daniels' (Dacascos) team can save her from certain doom. That's it for plot. So if the synopsis is short, how about the war action? Unfortunately, it's not good. Don't forget this is a Roger Corman production which means: cheap! But they did the best they could with a low budget. 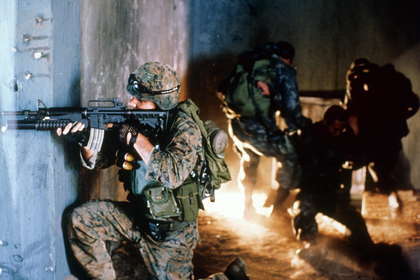 It looks like Black Hawk Down (2001) but it's not. The only thing saving this are the performances. Dacascos, Randle, and Hauer all put in decent work. The last gunfight was satisfactory though. Overall, It's not worth watching unless you like the actors. The sequel is better.